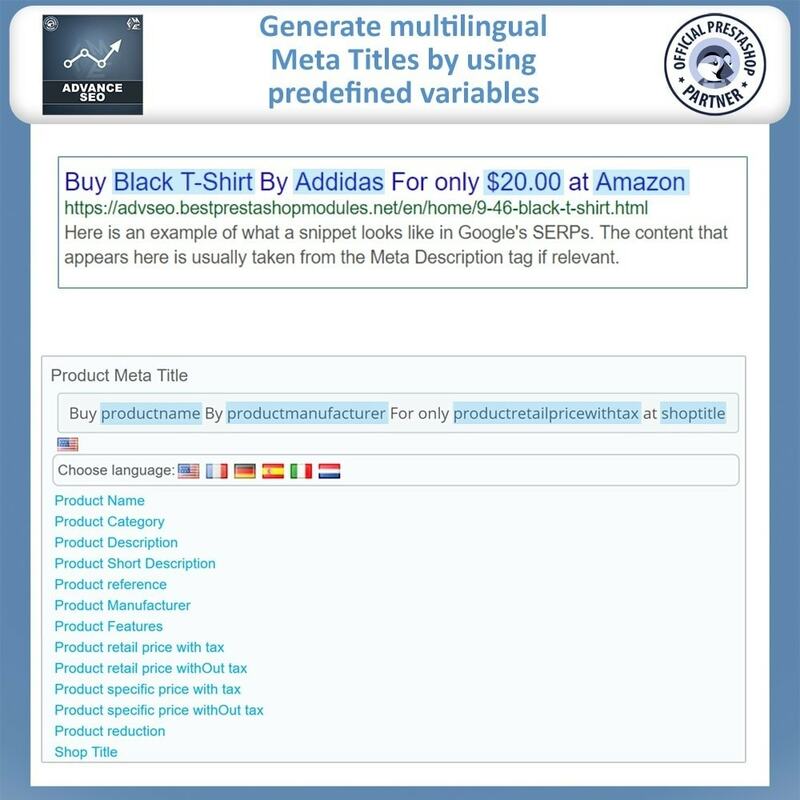 Most advance and best-rated SEO Module on Prestashop. 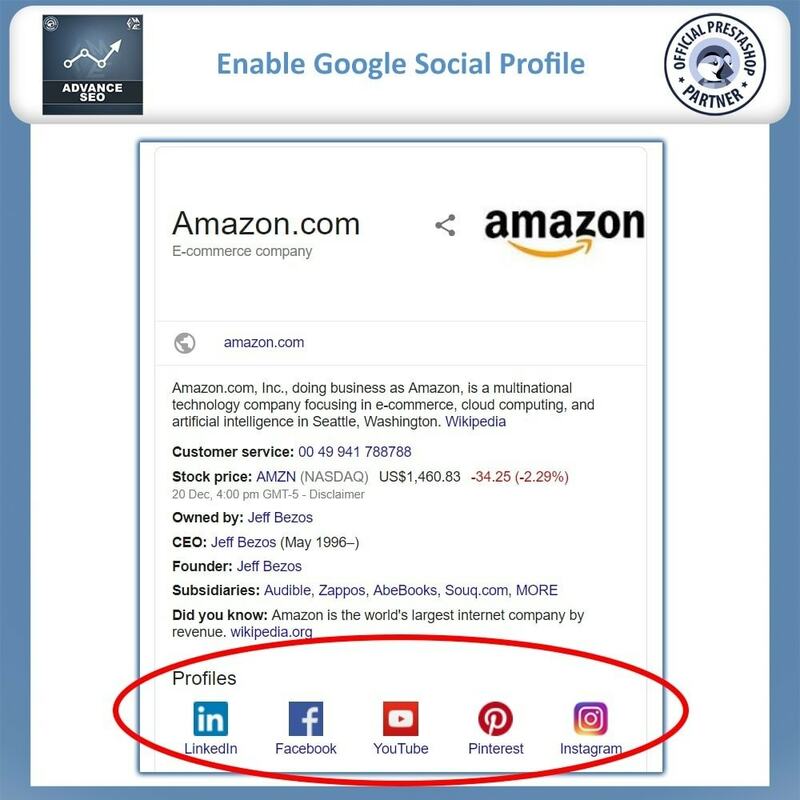 Get highest ranking on search engines in no time. 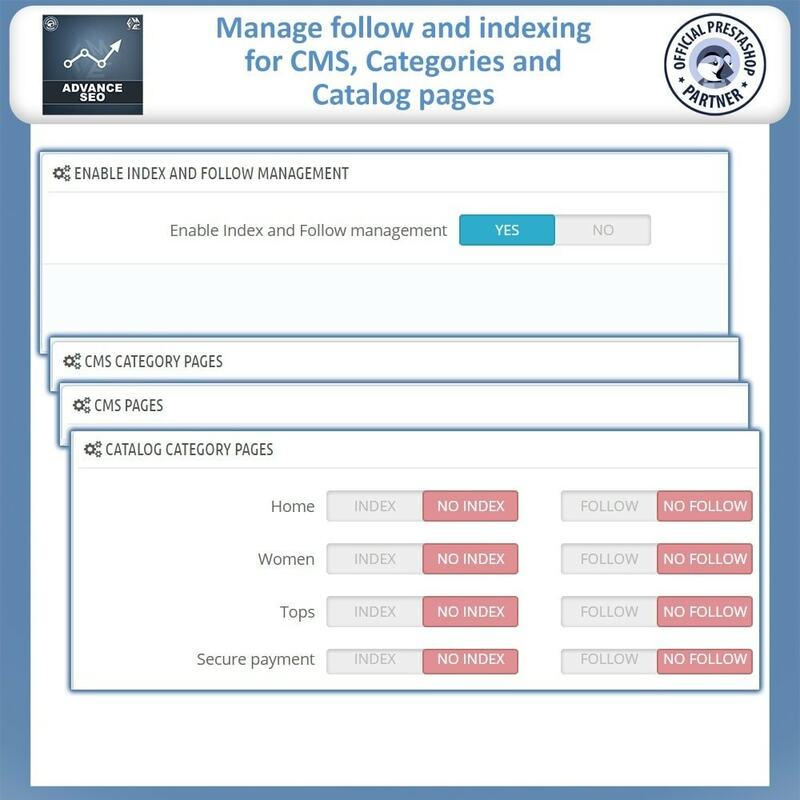 Automatically setup Sitemaps, Robots.txt, URL redirection, Follow, Index, Keywords, Social Profiles and Metas for home, products & CMS pages. 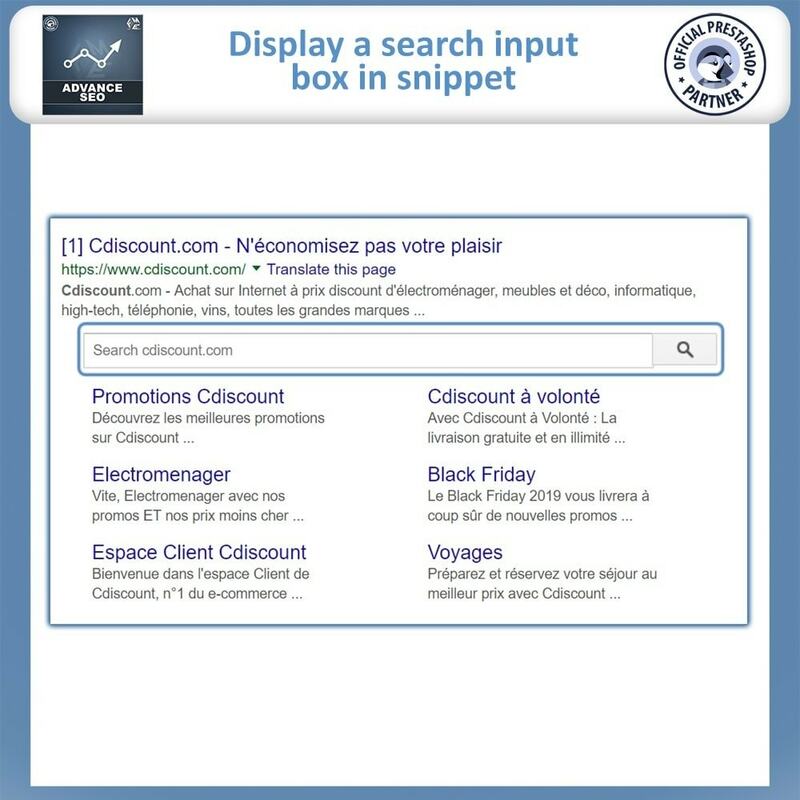 What this Prestashop SEO extension has to offer? 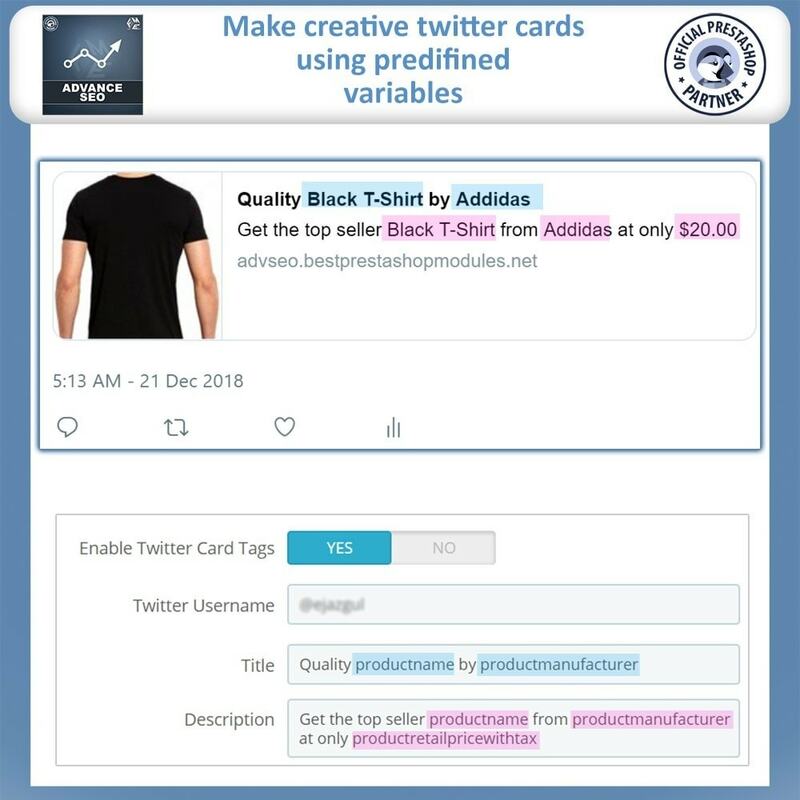 What this Prestashop SEO module does for you? 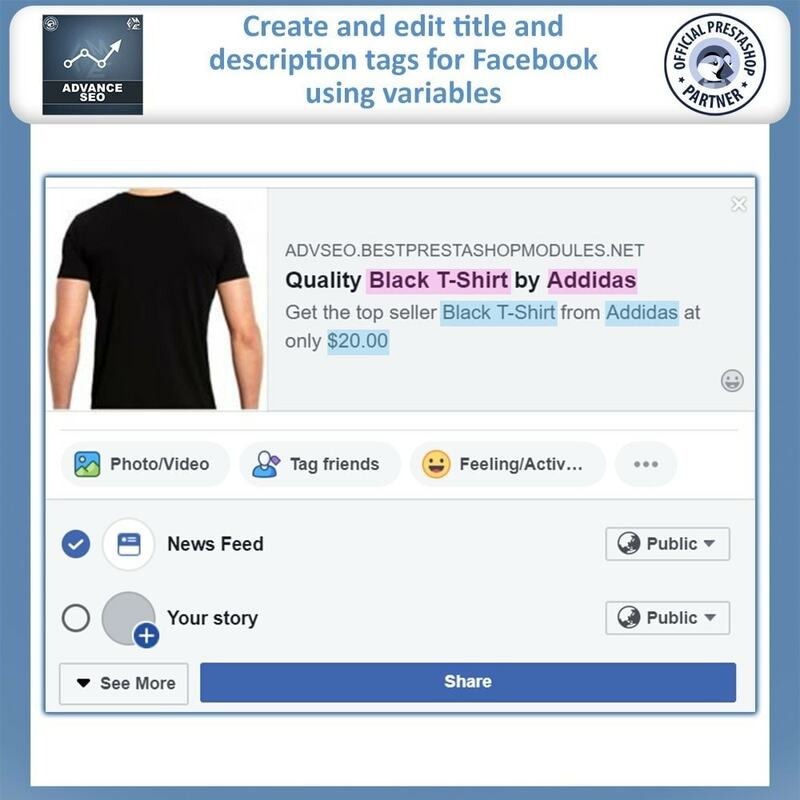 PrestaShop SEO Module is a helpful tool for store owners, marketers and managers to conduct basic on-site SEO activities to make sure the products and CMS pages got indexed and ranked in search engine results. 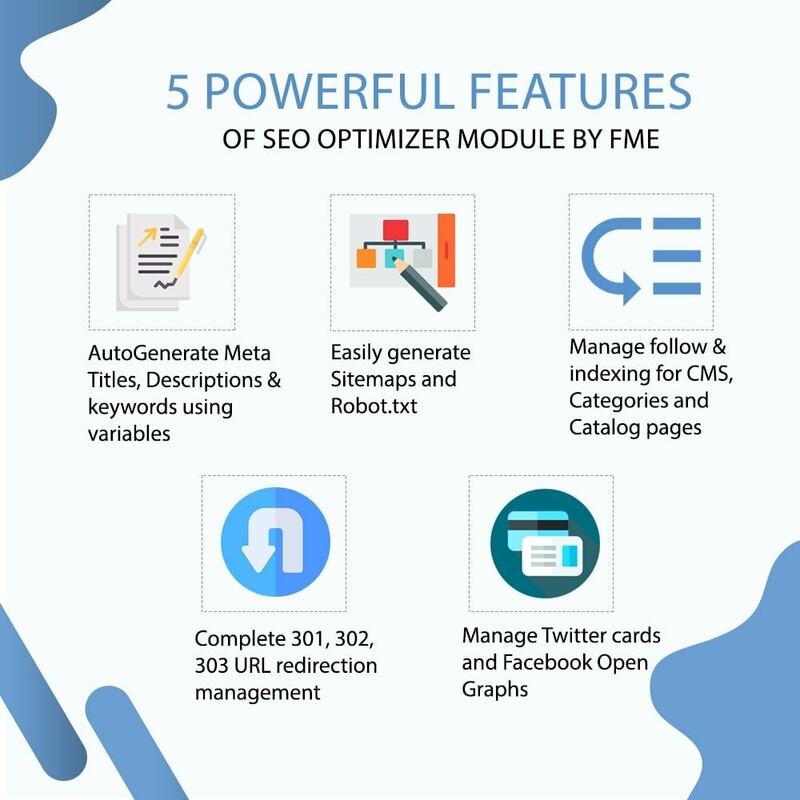 The module enables you to add Meta titles, descriptions and keywords to various pages of your store so that they are included in the good books of search engine and are retrieved on first pages of the prominent search engines. It supports PrestaShop 1.5 and 1.6 platforms so you never need to ask for a compatible version of this module. 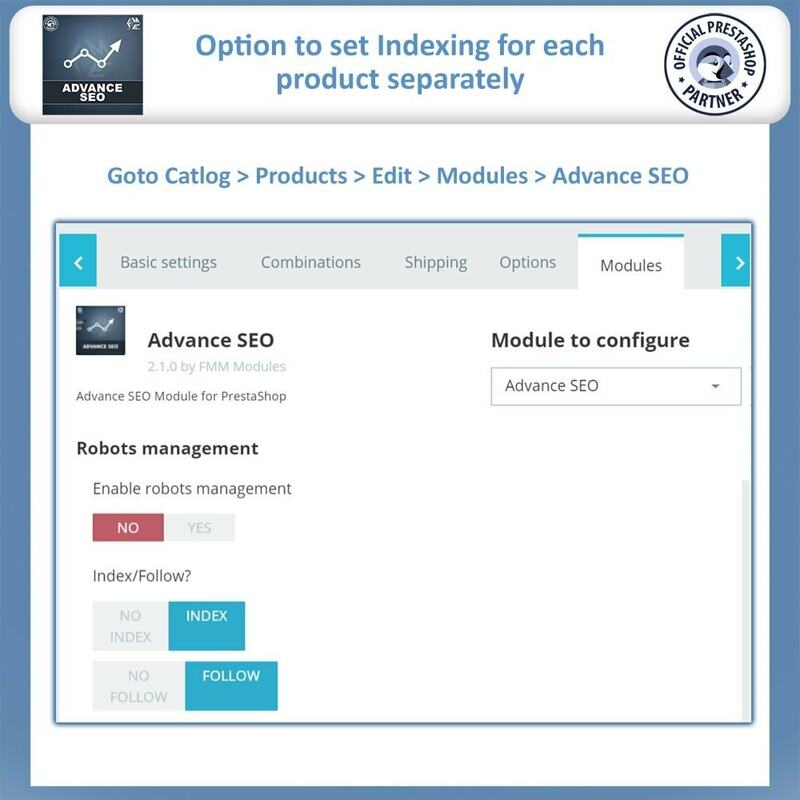 The PrestaShop SEO manager is a fully automated watchdog for those website owners who are deficient in technical SEO knowledge. Increasing traffic is now as easy as it gets, with PrestaShop SEO addon. 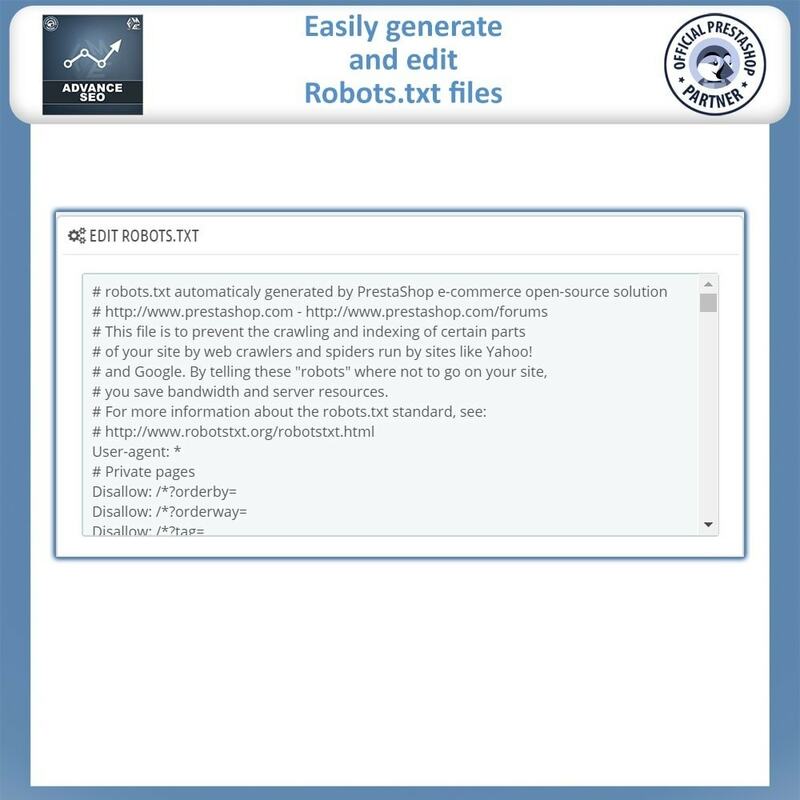 Generate Robots.txt also edit Robots.txt option available. 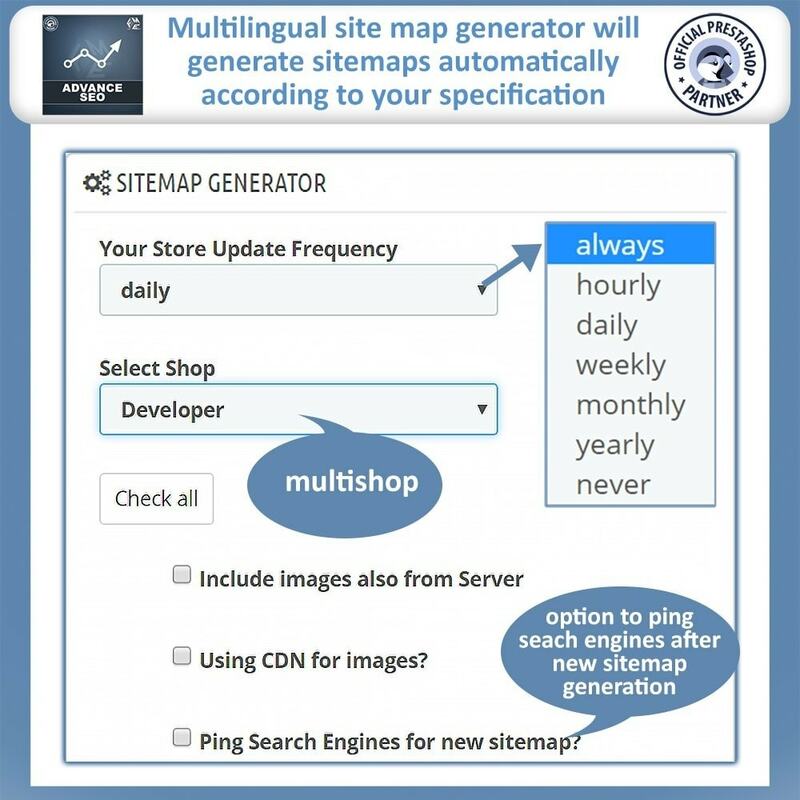 Generate Sitemaps in multiple languages also set a Cron job to auto generate it in future. Auto or manual Meta generator available. SEO optimized image alt tags can help you rank your images in Google image search and improves overall rankings in search engines. 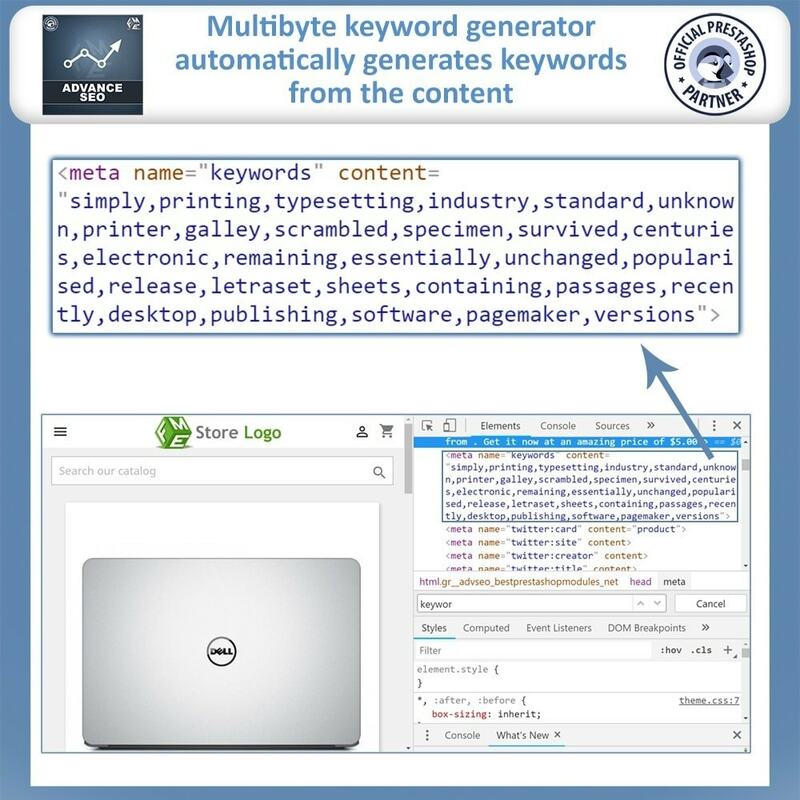 SEO Alt Image module automates this process, with a 1-click you can generate SEO optimized Alt tags for whole website. 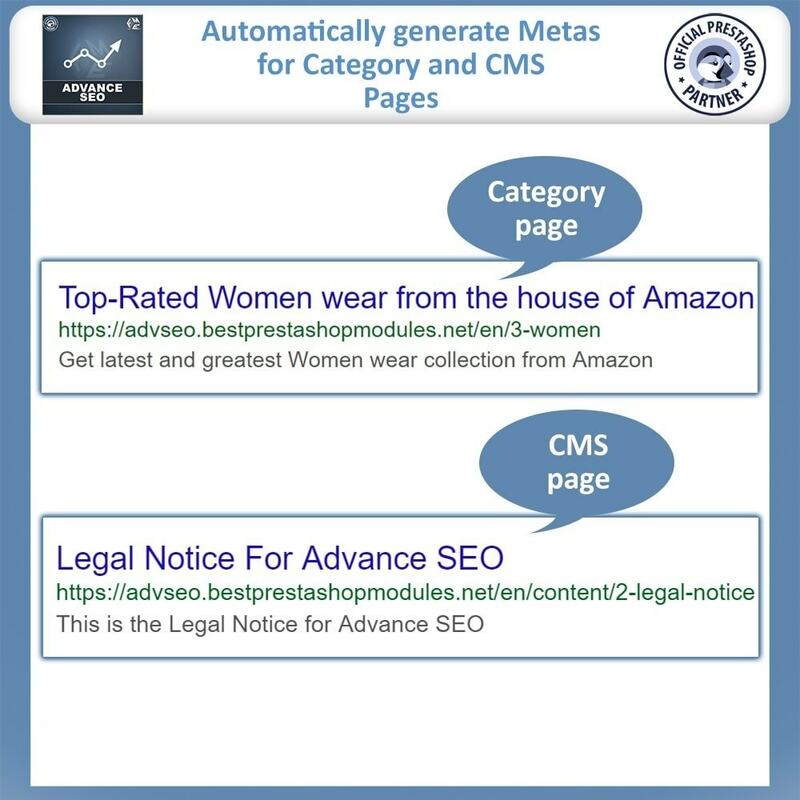 Most advance and best-rated SEO Module on Prestashop. Get highest ranking on search engines in no time. Automatically setup Sitemaps, Robots. 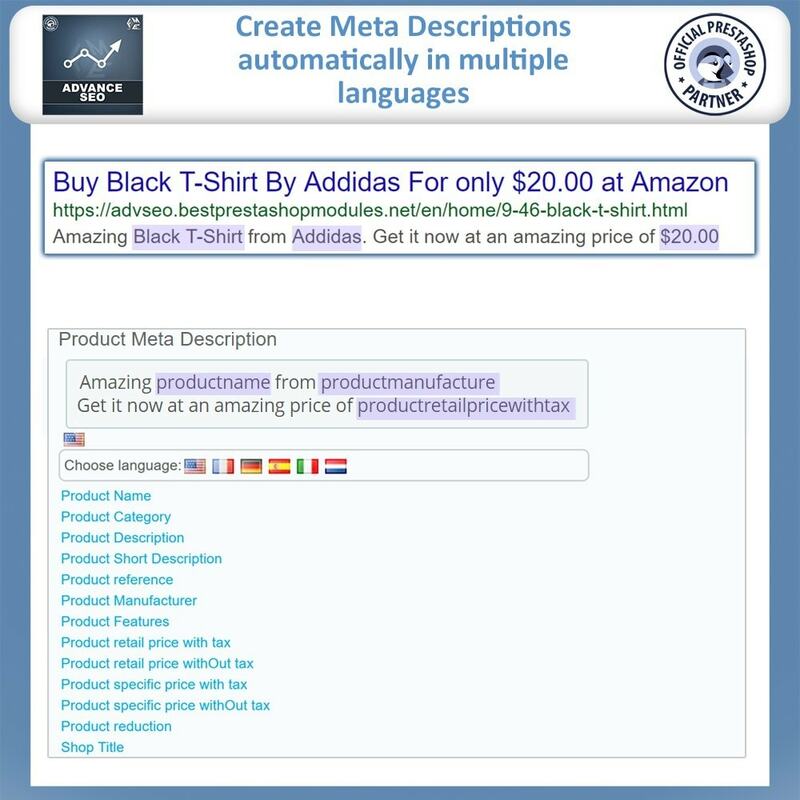 Txt, URL redirection, Follow, Index, Keywords, Social Profiles and Metas for home, products & CMS pages. 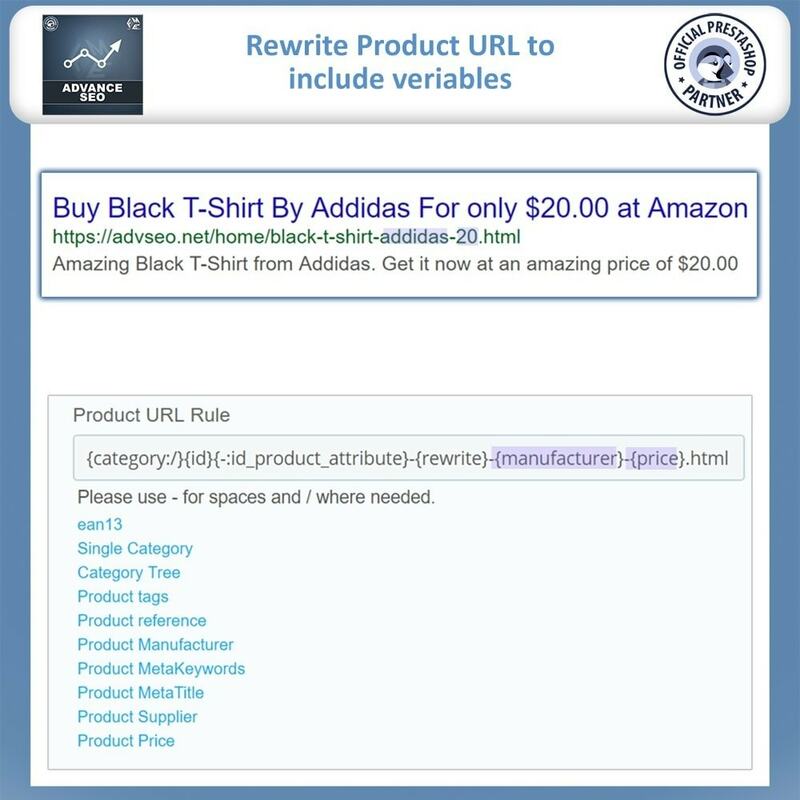 PrestaShop Advanced URLs Module makes your store URLs SEO friendly by removing auto generated IDs / numbers from URLs of your products, categories, manufacturer & other pages. 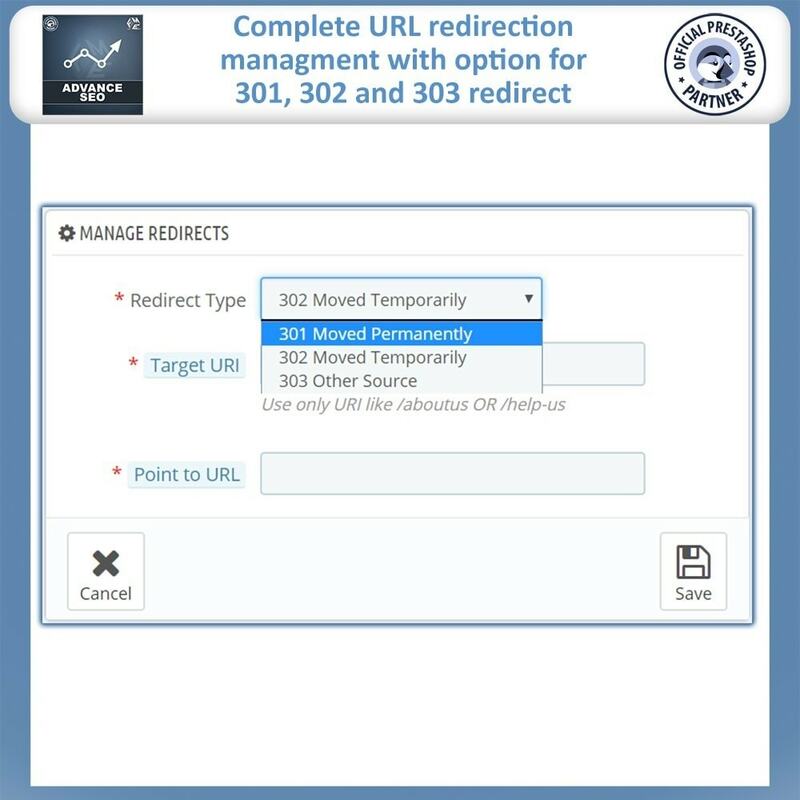 Automatically 301 redirects old URLs to new URLs to avoid 404 errors.